While going through the installation of VMware vRealize Automation 6.2 (vRA) today, i captured some of the screenshots and find some prerequisites required before the installation of vRA and also what are the components in it, so thought of sharing the same in my blogpost. It's definitely a long list of steps which i followed and that's why i thought of dividing this post into two parts. Part 1 talks about vRA in general, prerequisites and components while part 2 series of this article will deal with the installation. Before we talk about the installation of vRA let's spend time understanding how this products is beneficial for us or what it does?. What are the components? 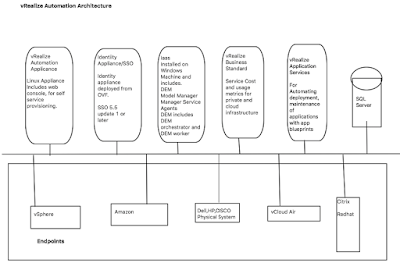 VMware vRealize Automation is a cloud management platform and delivers Infrastructure as a service (IasS), Anything as a service (Xaas), Platform as a service and has following capabilities. 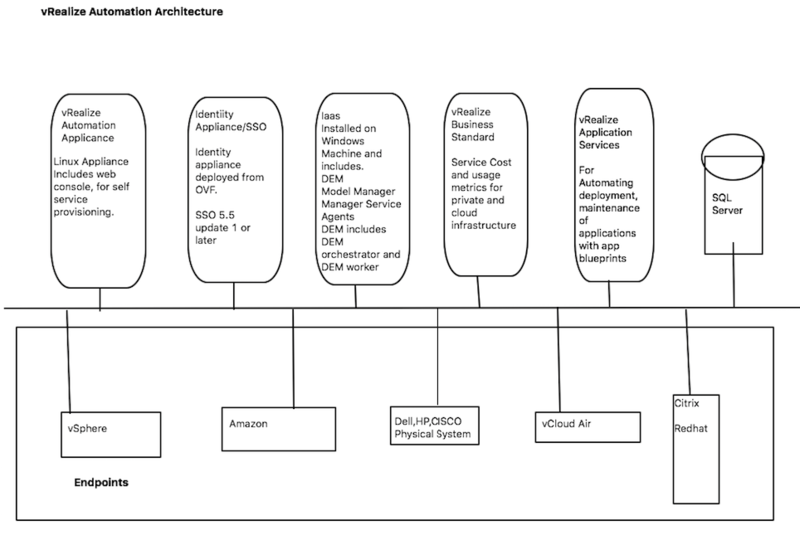 vRA supports multivendor infrastructure and IT services can be delivered across Virtual, Physical and cloud platforms.It also helps in automating the deployment and delivery of multi-tier applications. Now when we know what is vRA ,let's have a look how to install it and what are the prerequisites that need to be taken care before installing vRA and what are the components. 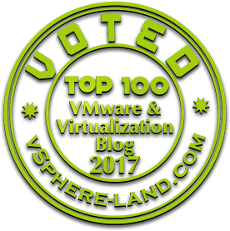 Single sign-on (SSO) server (This can be your existing VMware vCenter 5.5 update 1 or later SSO server or can be an identity appliance). For more information on vRA overview,components, prerequisites kindly refer below link.